Get ready for spring with this sweet design by Doll Tag Clothing! There are two designs included with this PDF pattern: the vest and the dress. I LOVE how this outfit turned out. So cute! I give it three stars because the pattern is a bit small. 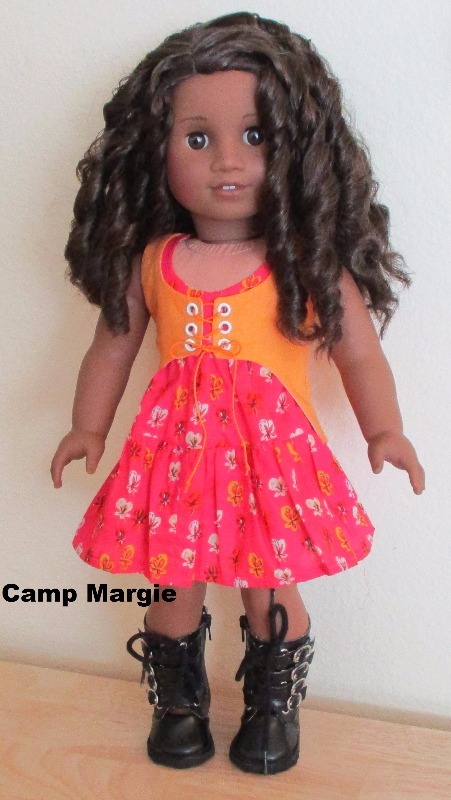 I have a number of American Girl dolls and it was very tight on my smallest one, would not fit my largest one. Very cute dress pattern! Well explained and easy to make. My granddaughter loved her "princess dress". Your patterns are great! They are so easy to understand and follow, I will be back for more! Thank you! Loved putting this adorable dress together; already made 2! !